This seasons Rim Fire of the Sierra Nevada has been an extremely destructive wildfire. Now determined to be California’s 3rd largest fire in history, the burn envelop now extends some 237,000 acres (as of Sept 6) which equates to roughly 370 square miles. To put this into perspective – this would have burned more than 7 San Franciscos. Notwithstanding the extent, Cal Fire and other crews have done a phenomenal job protecting life and property. Somehow, only 11 homes have burned and there are no reported fatalities. We owe the men and women on the front line a huge thanks and maybe a hug wouldn’t hurt either. So for once, I think there’s a clear story about why fires are spreading beyond historical limits and why it’s happening over and over again in recent times. For instance – our 4 largest fires in history (according to CalFire) have all occurred in the 21st century – even with all our planes, helicopters and cellular phones. Ecology has outpaced technology. How can this happen you might ask? It’s a question of management. 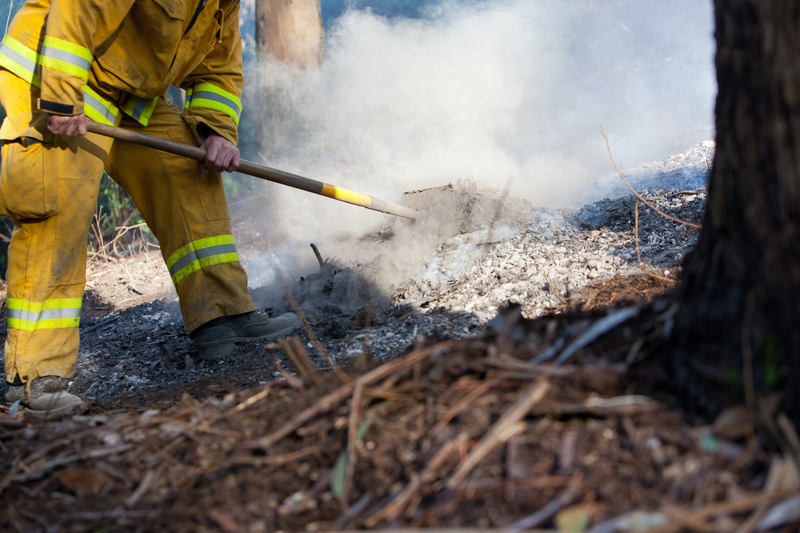 In my other job, one project Golden Hour Restoration Institute takes on is the process of restoring and stewarding wildland-urban interface landscapes so they’re hopefully more fire safe and provide better native habitat for our creatures. It’s a very complicated task burdened with many assumptions which can be difficult to unroll. For this reason, I love simple – effective diagrams of fuels and this one just nailed it: from a Forest Dynamics and Fire Suppression Research paper by the Pacific Southwest Research Station. In a very cursory analysis, I think it’s easy to see more green dots on the 2008 diagram than the 1929 one. This translates to actual stems of vegetation on the ground. 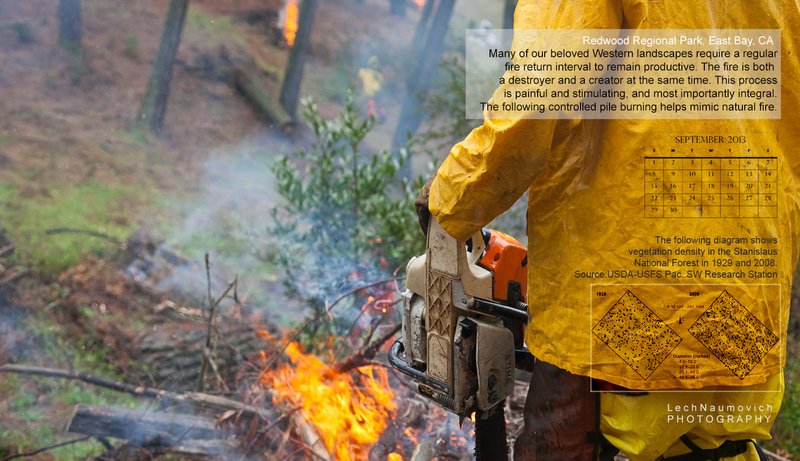 The 2008 diagram shows more horizontal continuity of fuels (greater density of dots) – meaning that fire can spread from one neighboring tree to another. 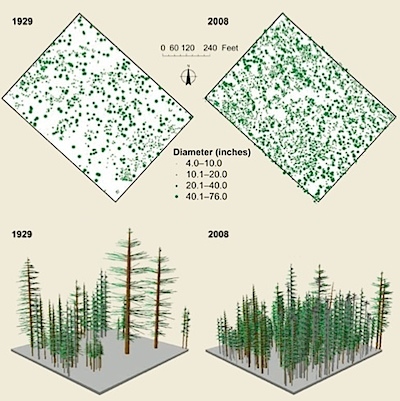 This project maps an area in the Stanislaus National Forest, but these trends can be projected to other non-managed landscapes. I also want to tip my hat to Wired for covering this story and communicating the science in an accurate manner. Some key issues they’ve addressed, which are still uncertain is now that we know our forests are growing too densely and less productively, what actions can we take on a landscape scale to help return these forested systems to a pre fire suppression time. How do we ensure that the large fires that get out of hand don’t completely decimate forests and convert them to grasslands, scrub or other vegetation which may further alter the fire regime. To me, I can almost understand the process on a smaller scale at the urban-wildland interface – but it is a costly one. One that requires specific ear-marked funding and well-trained scientists working with firefighters. Here’s my tribute to considering the power of human management of wild systems – a desktop calendar September – free for all who want to use it as a calendar. Here’s an alternative full-sized version without the tree density figure – more in line with my standard desktop calendars.